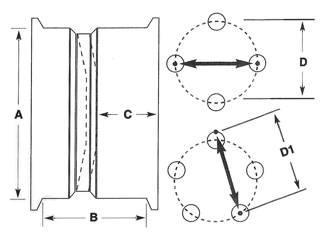 Bolt Pattern Cross Reference - What Wheels Fit? HomeBolt Pattern Cross Reference - What Wheels Fit? What's My Bolt Pattern? What Wheels Fit? A 3 Lug Bolt Pattern or Pitch Circle Diameter (PCD) is made up of the stud count (3) and the bolt circle measurement, the notional circle determined by the center position of the studs. 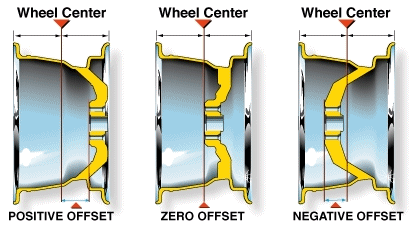 Learn more about wheel dimensions. A 4 Lug Bolt Pattern or Pitch Circle Diameter (PCD) is made up of the stud count (4) and the bolt circle measurement, the notional circle determined by the center position of the studs. A 5 Lug Bolt Pattern or Pitch Circle Diameter (PCD) is made up of the stud count (5) and the bolt circle measurement, the notional circle determined by the center position of the studs. A 6 Lug Bolt Pattern or Pitch Circle Diameter (PCD) is made up of the stud count (6) and the bolt circle measurement, the notional circle determined by the center position of the studs. The 7 X 150 Lug Bolt Pattern or Pitch Circle Diameter (PCD) is made up of the stud count (7) and the bolt circle measurement (150), the notional circle determined by the center position of the studs. The 7 X 150 bolt pattern was only used by Ford. There are no other vehicles that use a 7 lug bolt pattern. The 7 Lug wheel option was part of Ford's HD Payload Package. 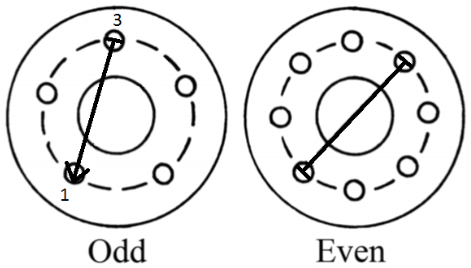 Instead of measureing the bolt circle, simply count the lugs. Learn more about wheel dimensions. 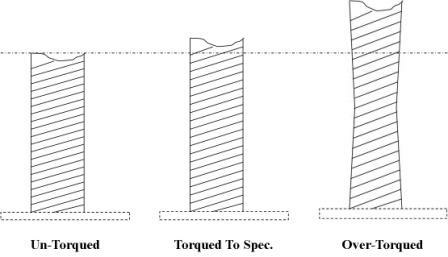 A 8 Lug Bolt Pattern or Pitch Circle Diameter (PCD) is made up of the stud count (8) and the bolt circle measurement, the notional circle determined by the center position of the studs. 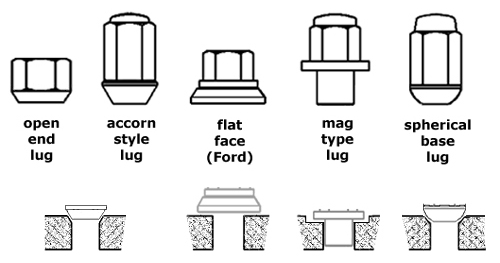 A 10 Lug Bolt Pattern or Pitch Circle Diameter (PCD) is made up of the stud count (10) and the bolt circle measurement, the notional circle determined by the center position of the studs. 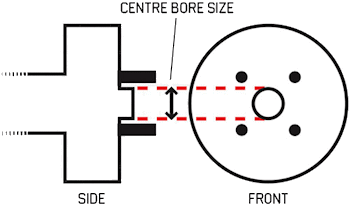 Measure 10 lug wheel bolt patterns from center to center distance between two studs that are across the hub from each other. 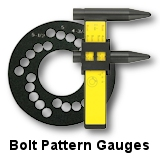 This measurement is your bolt pattern diameter. Learn more about wheel dimensions. Having Trouble Fitting Your Wheels?